#26. 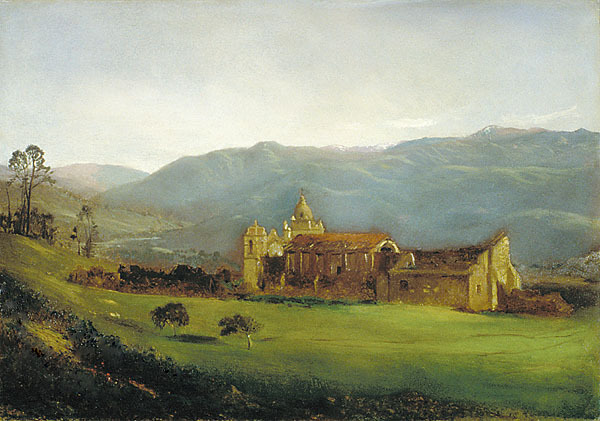 Mission San Carlos Borromeo de Carmelo. 14 x 20, oil on paper on canvas. "Gilbert Munger" lower left. 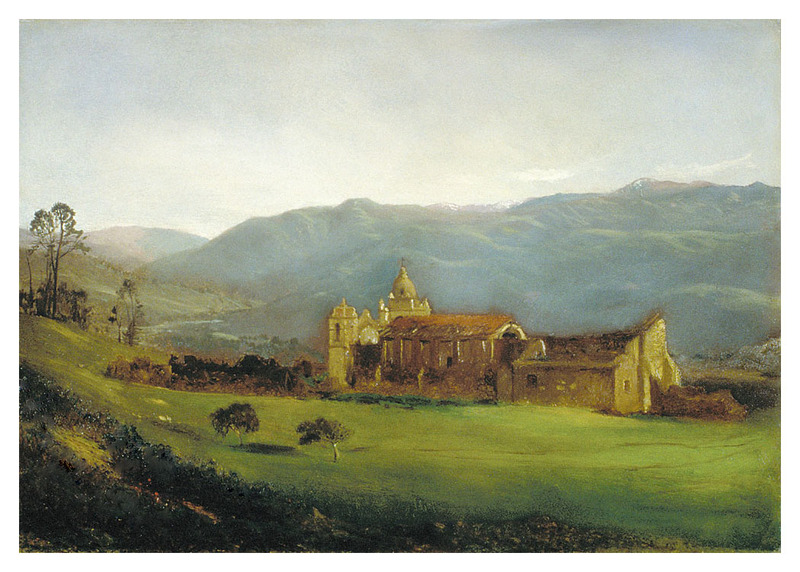 View looking east from the Pacific Ocean shore to the back of the Carmel mission. From Clarence King through his family to Veerhoff Galleries, Washington DC; from there in 1974 to the Arthur J. Phelan collection, Chevy Chase MD; then in 2018 via his son Arthur through North Point Gallery, Berkeley, to a northern California collection. IAP 98780015. QFD 24. See "Gilbert Munger: On the Trail" by Cummings, in Bulletin 1982, 10, Benton Museum of Art, Univ. of Connecticut, Storrs, p. 16. In "Beyond the Mississippi", an exhibition of the Federal Reserve, Washington D.C., 26 Jan through 1 May 1998. Image from owner's slide.